We are an international school with an Indian mind, heart and soul. We understand the requirement of the present generation in the realm of education and we strive to equip our students with the right education, attitude and values. 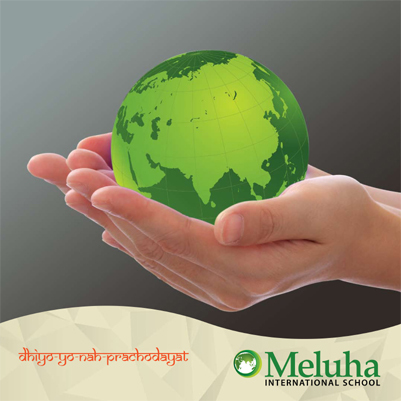 Meluha International School (MIS) endeavours to provide quality education with a commitment to excellence and craft students into intellectually, socially & morally conscious and responsible citizens. Our primary focus is to prepare and guide students of Grade 11 and 12, who are facing new crossroads in life, to carefully choose career paths best suited for them. We at Meluha believe that every child is endowed with a unique set of attributes and abilities which need to be nurtured so they can blossom. Therefore, every student deserves an education that fosters academic excellence, all-round development, and ensures their well-being. We strive to create opportunities that enable students to be best positioned in their chosen fields and subsequently, their chosen careers. We are inspired by these tenets in everything that we do at Meluha International School. I am a fundamental believer of educating society not just to focus on helping pass exams, but also on improving their character by making them more resilient. Remaining to be resilient in the face of learning difficulties, adversity, stress and family. Inculcating the habit of fighting is something that is hard to teach and we embrace that fact with an open mind. 20’s is full of choices and crossroads where people end up being mediocre with very high hopes in their pasts, so finding the passion at an early age is fun, fascinating and really helpful. The student’s first decision that really impacts their future happens in grade 11. At this phase, we wish to be doing greater good in helping them have a smooth transition. Every student has a voice and it needs to be heard, and every student has an exceptional intelligence, but the sad part is that most recognize academic intelligence first, but we dig deeper than most schools. Excel within the book and think beyond the book. Finally, we compel students to think, dream, imagine and use their strengths as their power to transform the future world.